Your tyres are the only bond between your car and the road, making them an important feature when it comes to safety. Tyres help provide grip in wet and icy conditions and can also affect your handling in corners, as well as braking. Tyres don’t only have an impact on safety but also your comfort, as the tread depth and inflation level affects the smoothness of your ride. Euro Repar Car Service believe your saftey is a top priority. You can trust us to give you professional advice, whatever your budget is. 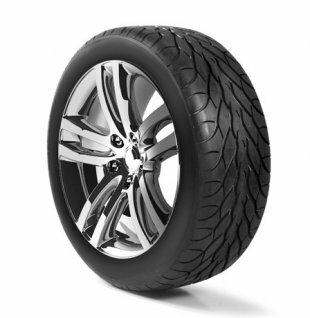 We also offer a wide selection of replacement tyres suitable for your vehicle at a fair price. Use our simple Online Booking form to book your Tyre Check or Replacement at your local Euro Repar Car Service centre. Every week you should check the pressure of your tyres to make sure that they are inflated to the correct pressure, which you can find in your vehicle handbook. We would also recommend that you check them before long journeys or if you are carrying heavier loads, as your pressure may need to be adjusted. The inflation level of your tyres will need to be adjusted in line with the weight you may be carrying in your vehicle. This is to accomodate for the pressure on your tyres from the additional weight and can help prevent unneccesary wear on your tyres along with providing you with a more comfortable ride. Make sure to balance tyre pressure is correctly balanced between the front and rear tyres. This avoid premature wear of tyres and shock absorbers. Check the state of your tyre tread regularly. The legal minimum for tread depth is 1.6mm. If your tread depth goes below this you could face a large fine per tyre, plus points on your license. You should also look out for cuts, cracks and other signs of damage as this could cause you to fail your MOT. If your car has a spare tyre, make sure it's also in good condition. You never know when you might need it.